Many of us when we buy tents we are too lazy to follow the simple instructions that come with the new tents: the tents are sprayed with chemicals as they are being manufactured in order to protect people who do not follow instructions. Then there is that friend of yours who will always smoke in the tent, then walk outside to get some fresh air. The tents have chemical compositions that act as fire retardants. A recent study was made on the tents, and was published in Environmental science and Technology. 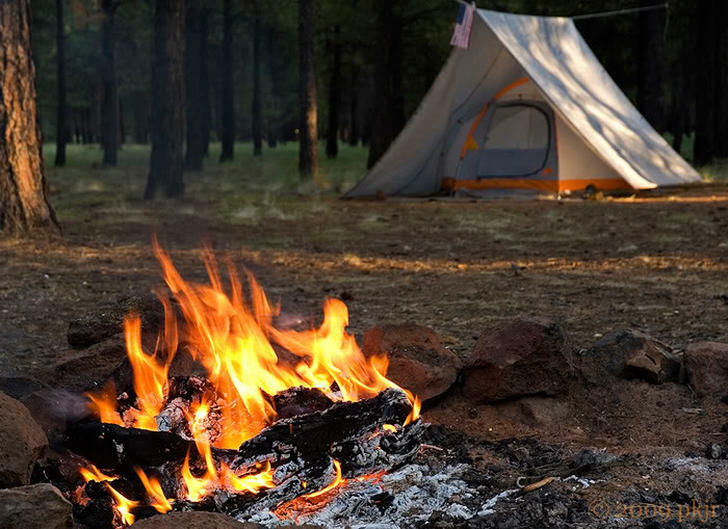 The study shows that people camping are always exposed to toxic chemicals that are components of fire retardants unused by manufacturers when making the tents. Volunteers were sampled and then the researchers studied the skin swabs from the volunteers. The volunteers were asked to set up 15 different tents and then air samples inside the different tents were collected. The most common chemical ingredients used in making the fire retardants are: organophosphates and a neurotoxin. The neurotoxin is also used in making of pesticides, and had been previously associated with the death of 25 children in India. This is a clear indication that the chemical compounds are indeed very lethal and that our ignorance could be subjecting us to life threatening conditions. The chemical compounds on the hands of the volunteers were found to be 29 times higher than they were before they set up the tents. A study on the air samples showed that if one is sleeping in the tents sprayed with the fire retardants, for 8 hours he or she will be able to inhale 400 Nano grams of these toxic chemicals per kilogram of one’s body weight. Though this still falls under the acceptable daily dose issued by the US Consumer Product Safety Commission, which is 5 micrograms per kg of body weight. Though researchers have a different view that since the effects are cumulative and that it’s even worse for children and babies. Even though the levels are low still the toxic materials are being inhaled. The levels of fire retardant chemicals in home fabrics and other stuff we used in our homes is very debatable, many have pointed to their side effects and also whether they are really effective. Manufacturers use these chemicals, but then most of us are ignorant to the dangers we subject our families especially to our children. Avoiding putting up flames in tents is so far one of the most important safety measures that people are encouraged to follow. This will protect you from waking up in a ball of fire that is made up of molten plastic. Better playing safer than sorry. No matter how fun camping is, make sure all the safety measures are observed and try spending more time away from inside the tent as much as possible. The less toxic chemicals you inhale the safer for you.